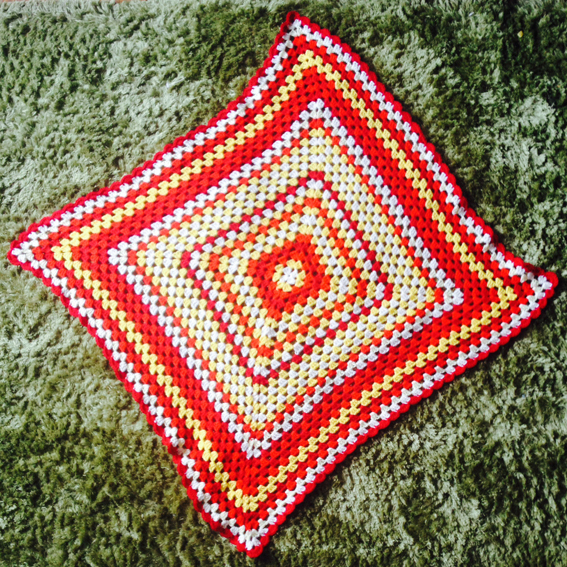 If you would like a Granny Square Blanket, contact me through the above link as I'm now taking commissions. They are the perfect gift for an expectant mother or for your home, which you can add a personal touch to. On average, my blankets measure to 32 rows, approximately 87cm / 34" wide. My blankets traditionally have a slight curve to them (see above and below) and can come with a scallop edge, as optional. They take approximately 4 weeks to make and can be made in any colours and patterns. If you would like another size blanket or stitch, I'm happy to discuss. All of my wool is 100% acrylic, to ensure durability and ease of washing.